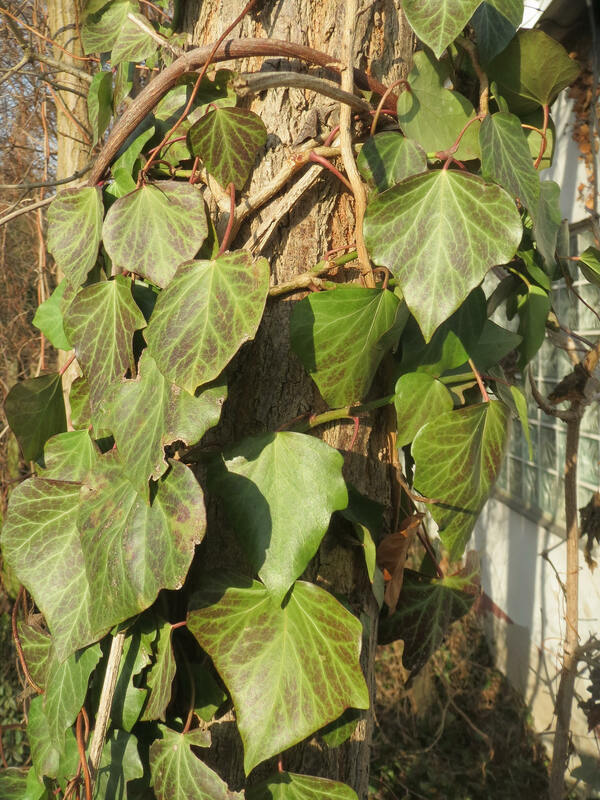 English ivy is the familiar vine that grows up building walls. 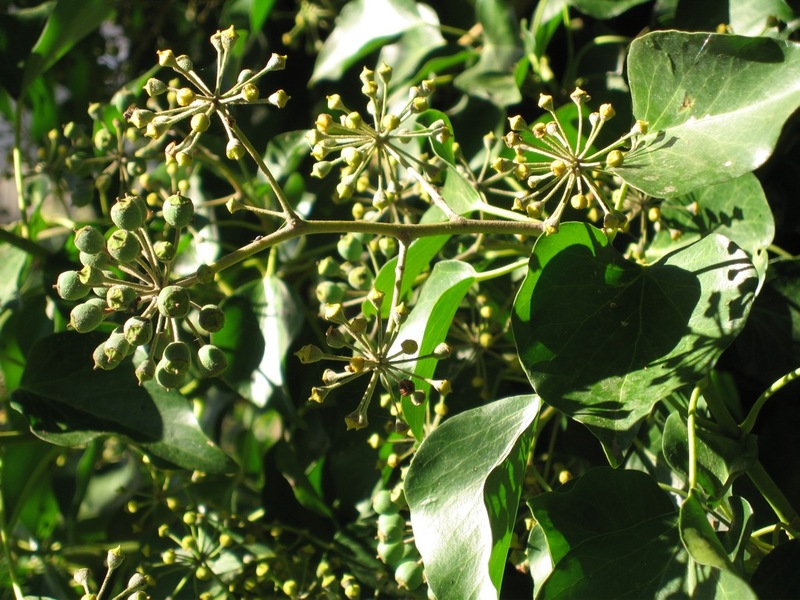 There are two forms, and evergreen woody vine and an evergreen shrub. the upright shrubby plant may produce flowers and dark purple or purplish fruits, and their leaves are not lobed. The vining plants do not produce flowers or fruits and their leaves have 3 to 5 lobes. Both forms may have an odor when crushed. 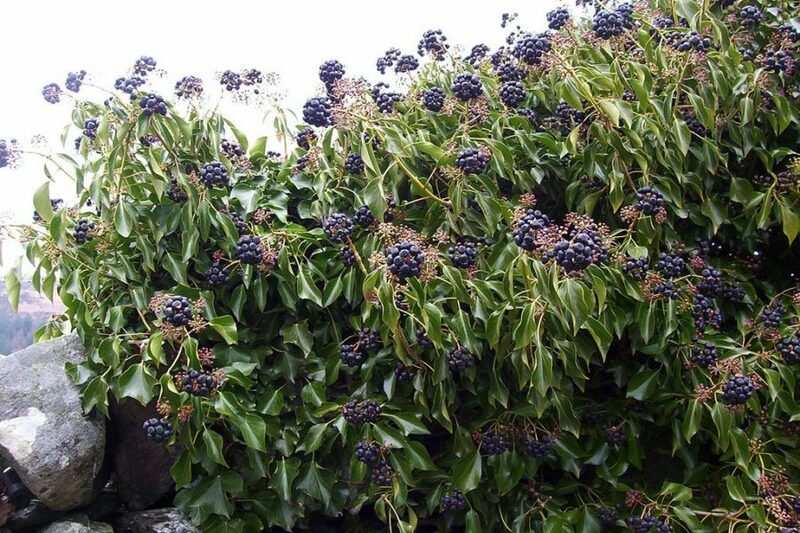 English ivy is native to England, Ireland, the Mediterranean region, and northern Europe west to the Caucasus Mountains. It was introduced to North America in early colonial times and has been planted for erosion control in many parts of the United States. 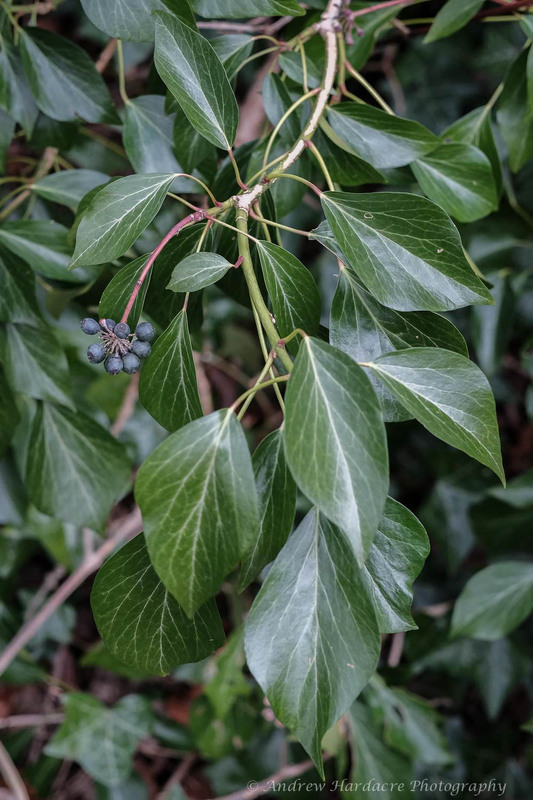 English ivy is found in northern California forests south to Santa Cruz, in Shasta and Butte counties, and along the south coast from Santa Barbara County to San Diego. CalWeedMapper shows its current distribution in California outside of cultivation. Where it invades, it forms vigorous vines in forests where nothing else seems able to compete, inhibiting the regeneration of understory plants including wildflowers and young trees and shrubs. It also tends to grow up tree trunks and branches, especially those of deciduous trees because it can get more light in the winter when the tree has no leaves. Once it reaches the canopy it can shade out the tree's leaves and suppress the growth of the tree. 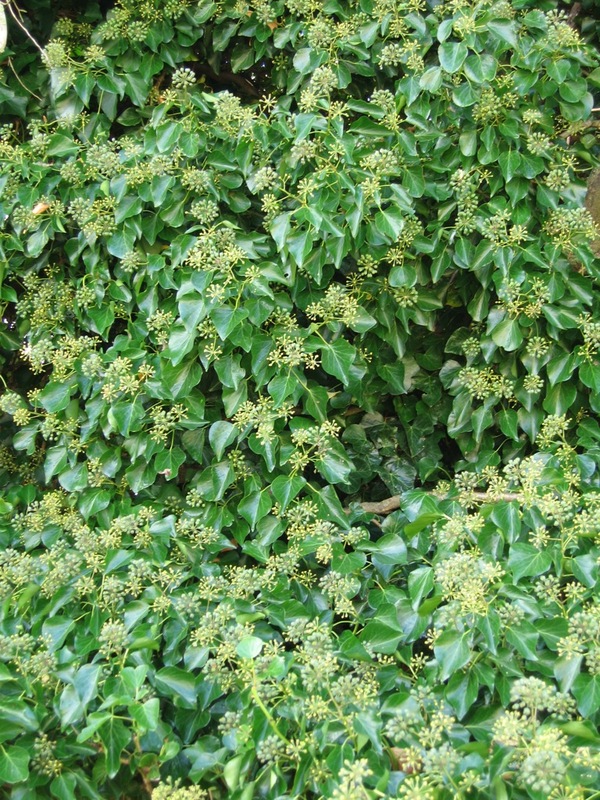 English ivy flowers in fall and the fruits are produced in the following spring in April and May. The birds are eaten by several species of birds, distributing their seeds. It also reproduces vegetatively by roots along the stem and may regenerate from stem fragments in contact with soil. There are hundreds of named varieties available from specialty growers. Many are small and miniature-leafed forms that are good for pots, hanging baskets, and topiary frames. In general their leaves are about half the size of the species. Leaf shapes vary widely and may be deeply cleft, have ruffled edges, different shapes, or be divided into leaflets. Variegated types are popular and can be non-aggressive in the garden. If growing a named variety, confine it to a container or well-defined garden area. 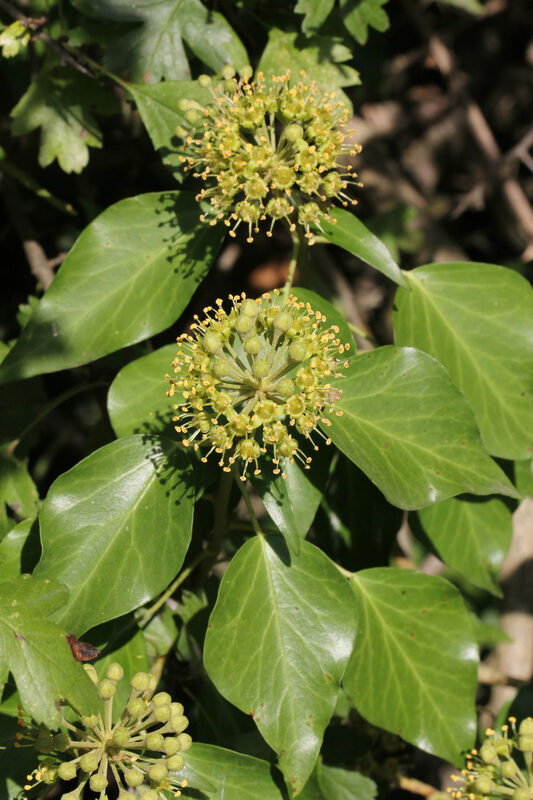 Both Hedera helix and Hedera canariensis were considered for addition to the list from 2012-2014. They were not included in the survey because more research is needed about which species are being sold in California and where each species is invasive in California. Looking for a safe and beautiful option for outdoor planting? Check out our list of good choices for your garden to find something that grows well in your region and doesn't risk becoming invasive. Thank you for helping California Plant Right!